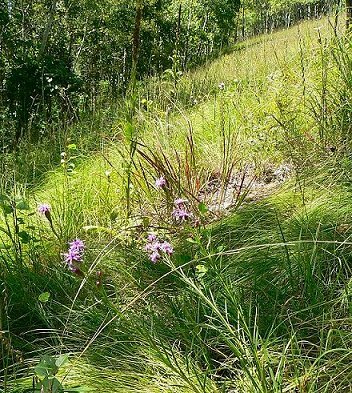 Blazing Star Prairie is a prairie opening in the woods near the top of a southwest-facing hill. It slopes fairly steeply down toward the southwest. There are thick aspen woods below and to the northwest of the opening, and the aspen trees are spreading into the prairie area. At the top edge of the opening is a grove of large Bur Oaks surrounded by young aspens and brush. 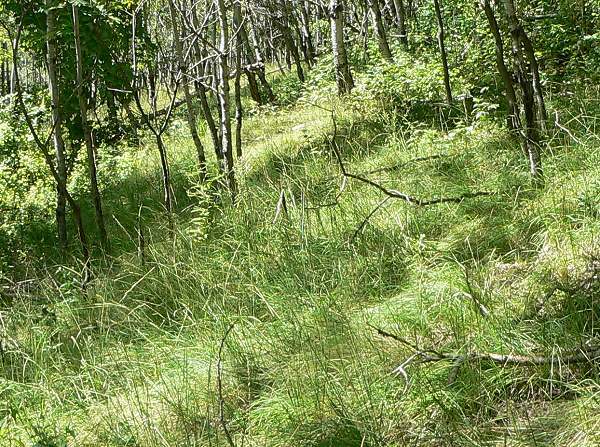 These aspens and shrubs are also spreading into the prairie. Here are two views of the opening looking from the southeast corner toward the northwest. 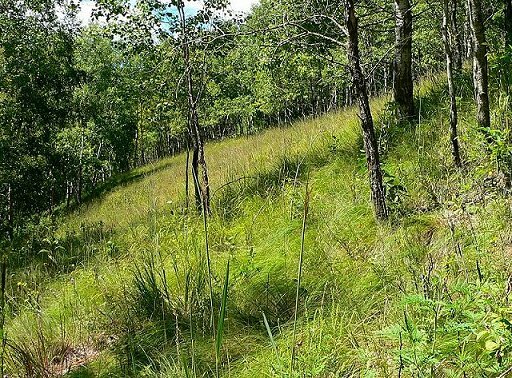 At the top and bottom edges of the opening the prairie vegetation stops abruptly a little way into the aspen trees. But at the northwestern edge the prairie grasses continue under the trees for at least ¼ mile. Other than the aspens, the opening has very few weeds. There is no Sweet Clover or Sumac. The dominant grasses in the open part of the prairie are Prairie Dropseed and Side Oats Gramma, with smaller amounts of Big and Little Bluestem. 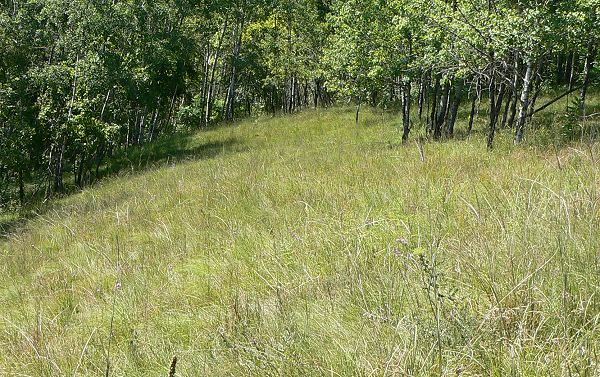 Here’s the open center of the prairie looking toward the aspen woods. The most common prairie forb is Cylindrical Blazing Star. When I was there in August there were several hundred plants blooming among the grasses. This is a close view of the center of the prairie with Side Oats Gramma, Prairie Dropseed, Cylindrical Blazing Star, and Harebell. 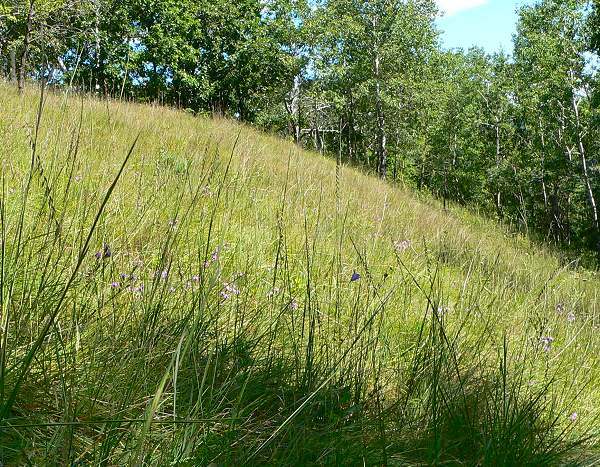 This is a beautiful prairie opening with the remnant of an Oak Savanna above it on the hill. The encroaching brush and trees are slowly transforming it into an aspen woodland.